Welcome to Enchanted Dream Productions! We specialize in boutique style bridal fairs for engaged couples valley wide. 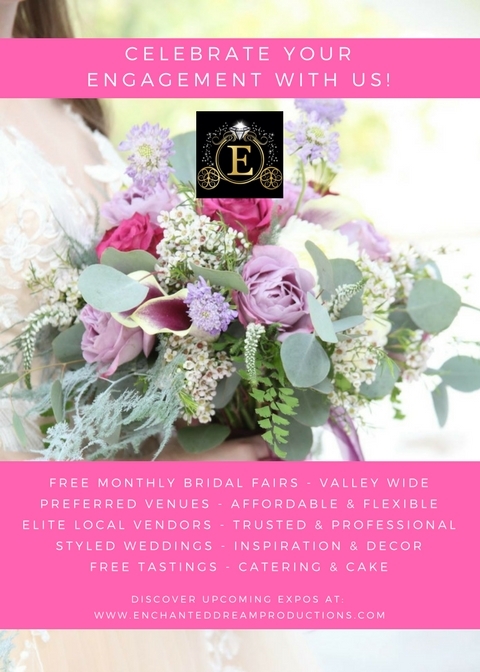 The Enchanted Dream Team is a local community, comprised of Arizona's top wedding & event professionals. Our preferred venues are flexible as far as bringing in outside vendors with no obligation to book an all inclusive package. They alternate hosting our styled events every month. Experience an intimate, fun, relaxed approach to event planning, where you are sure to be inspired! Please click below to RSVP for your complimentary tickets.